A quality desk ruler made in sturdy aluminium with a raised bar for easy lifting and repositioning over documents and sheets. 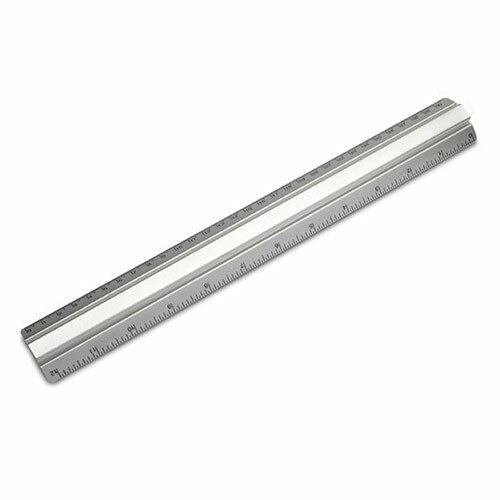 These 30cm rulers are calibrated in both inches and centimeters. Ideal as promotional products or corporate gifts, they can be branded by laser engraving onto the raised bar. Engraving is provided free of charge for your entire inscription. These rulers are supplied gift boxed.